Happy birthday to you! Who doesn't love birthday gifts? The great news is that birthday presents don't only have to come from your family and friends. There are tons of stores and restaurants that will also help you celebrate your big day with complimentary treats! 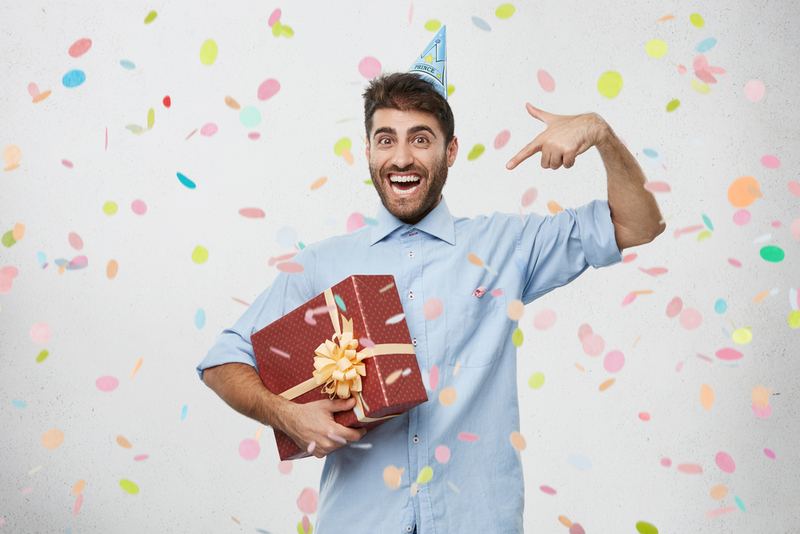 Read on to discover our favorite birthday freebies that you're certain to love too! Sign up for The Scoop Birthday Club at Baskin Robbins and enjoy a free scoop of ice cream on your birthday! You also get special discounts during the rest of the year! Join Club Cinnabon and get a free gift on your birthday! You'll also get a free minibon roll upon sign up. What are you waiting for? Dairy queen's Blizzard Fan Club not only gifts you with a BOGO Blizzard coupon on your birthday, but they also remember your Half Birthday. Have a while to wait until your big day? Score a BOGO coupon immediately just for signing up. Like Dunkin' Donuts? Then you're going to love your free birthday beverage! Sign up and you get not only a free drink on the spot, but another free drink of any size to enjoy on your birthday. Join the Schmear Society at Einstein Brothers and get a free egg sandwich (with purchase) on your birthday. It's valid for 14 days, so you have time to use it! You also get a free bagel and shmear with purchase upon registration. Firehouse Subs offers a Firehouse Rewards program. Simply sign up and you'll be gifted with a free medium sub for your birthday! You can also choose to use the reward within the 6 days following your birthday in case you're too full from all of the other treats available on your big day itself! Enter your information to join the Pancake Revolution, and you'll be treated to a free IHOP meal on your birthday! You'll also receive special offers throughout the year. The Jamba Insider Rewards will present you with a free juice or smoothie on your birthday! Not only that, but you'll get $3 off your next visit and $3 off with every 35 points once you sign up. Krispy Kreme offers a rewards program that includes a free doughnut on your birthday. You'll also earn points for free doughnuts and beverages throughout the year. Feeling hungry? Download the Rockin' Rewards App from Moe's Southwest Grill and treat yourself to a free burrito every year! You also benefit from receiving free nachos with the purchase of any regular or large drink when you sign up, and 10 points for ever dollar you spend that can be redeemed for Moe's cash. The Noodles Rewards program is available via iOS and Android devices. You'll get a coupon for a free menu item on your birthday, as well as other rewards that you can redeem during the rest of the year. Join MyPanera for a free pastry on your birthday! You'll also be able to accrue rewards to use during the rest of the year for other freebies and discounts! Looking for something to do on your birthday? How about enjoying a free movie, courtesy of Redbox! Sign up for their Redbox Perks program now! Ruby Tuesday wants to wish you a happy birthday with your choice of either a free burger or free garden bar entrée! When you join So Connected, you also get a free appetizer on the spot, plus more exclusive offers. Sephora's Beauty Insider program helps you celebrate with a free gift of minis! Any time during your birthday month, you can choose your set at checkout, either in the store on online. Smashbox also offers beauty products for your birthday, but their rewards program depends on how much you spend annually at their stores. If you reach Level 3 ("Fearless"), which means spending at least $250 a year, you get a "bigger & better" gift come your birthday. If you go to Starbucks, even just once in a while, you should definitely sign up for their free Starbucks Rewards program. You'll get a free beverage or pastry to celebrate your birthday each year, plus 15% off at StarbucksStore.com. Ultamate Rewards will give you points for every dollar you spend, which you can then redeem for any of their 20,000 products. You'll get double points during your birthday month, and if you reach platinum or diamond level, you'll also get a $10 free birthday coupon. Clean out your closet and home and reap the rewards, in the form of cold, hard cash! You definitely want to check out these 9 best apps for selling your stuff! If you own a car, why not use it to make a little extra cash on the side, or even a full income? Discover 6 easy ways to make money while driving your own car!